Doha, Qatar, October 22, 2015: McLaren Doha unveiled yesterday evening the latest in the range of high performance sports cars from McLaren Automotive, the McLaren 570S, at an exclusive invite-only event held at its showroom in Al Muftah Building. A select group of owners, business leaders and media were treated to the first look of McLaren’s newest addition to its stable in the company of Ian Gorsuch, Regional Director McLaren Automotive Middle East & Africa. Launched in New York earlier this year, the 570S is a pure sports car, with driver optimised layout and electrifying performance, and shares its DNA with the McLaren Super Series and Ultimate Series that sit above it in the range hierarchy. The Sports Series introduces McLaren race-derived technologies and design values to a new segment and audience. 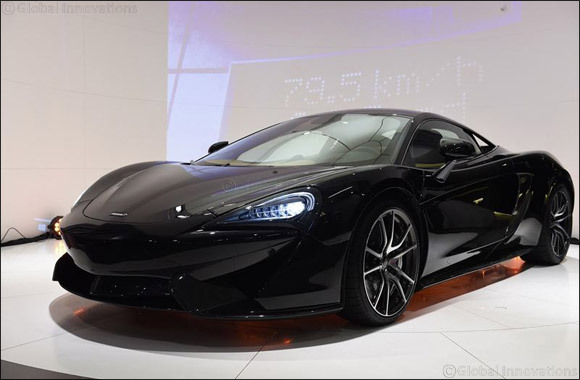 Like every McLaren, the performance of the 570S Coup� is breath-taking. It combines, as its names suggests, a power output of 570PS (562bhp) with light weight construction to give a class leading power-to-weight ratio of 434PS per tonne. The 570S accelerates from 0 to 100km/h (62 mph) in 3.2 seconds, while 200 km/h (124 mph) is reached in just 9.5 seconds with the pace not letting up till the car reaches a top speed of 328 km/h (204mph). Orders have already been received for the Sports Series and production is well advanced, with first customer deliveries expected to Middle East customers during the first quarter of 2015. The McLaren Sports Series starts from QAR 644,750, to place an order or to arrange a test drive, please contact the sales team at McLaren Doha.